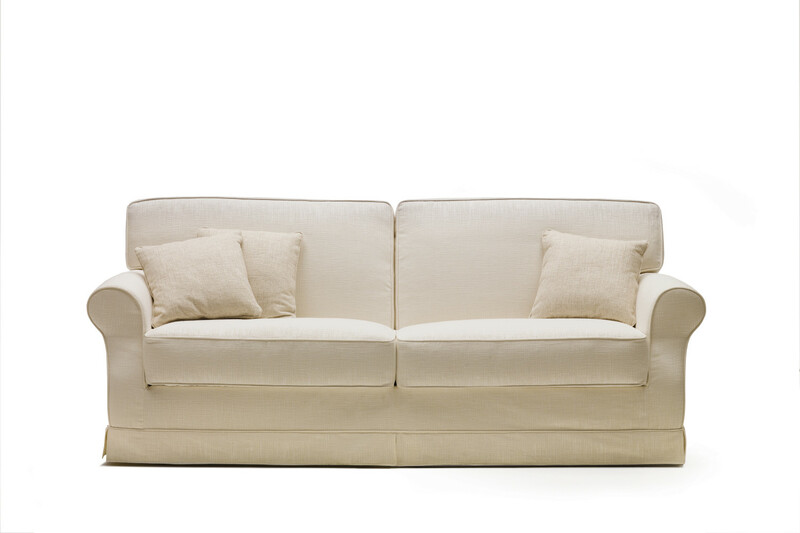 Gordon is a made in Italy fabric sofa with curly armrests and soft feet. 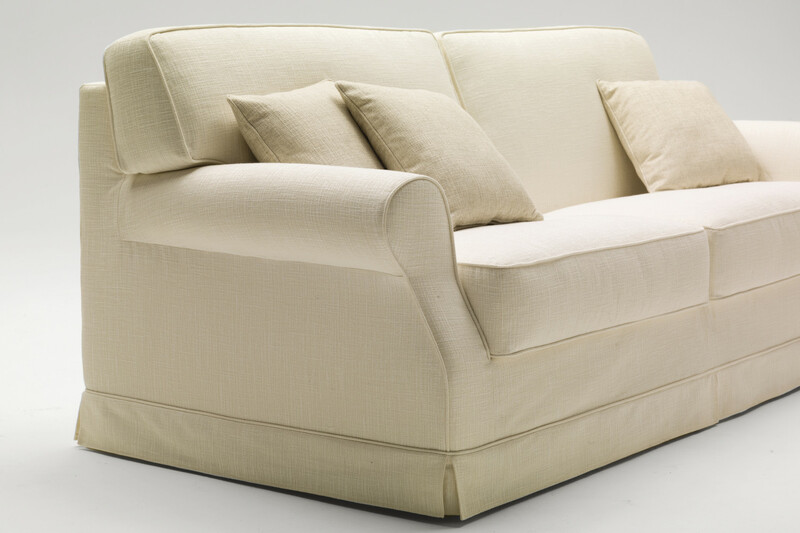 Characterised by a timeless design, ideal in classic and elegant sitting rooms. 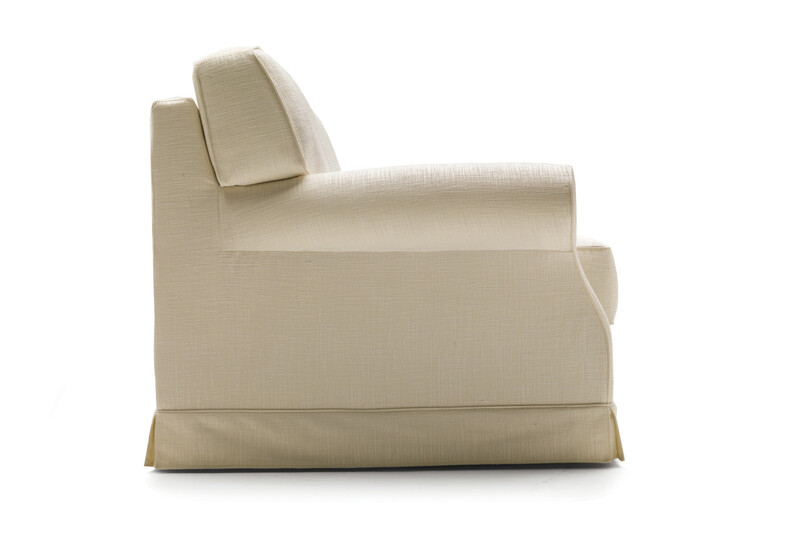 Gordon is a fabric sofa with curly armrests and a soft feather padding. Available in 2 or 3-seater linear models, also in maxi versions, this sofa is characterised by a removable fabric cover in a wide range of colours, completed with a lower flounce. 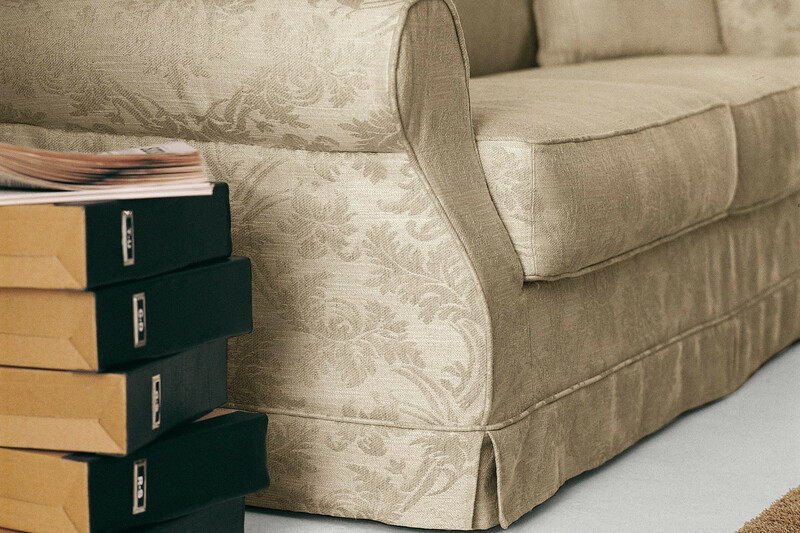 Gordon lines evoke a "timeless design", ideal to furnish classic sitting rooms combining its sophistication and elegance with comfort. 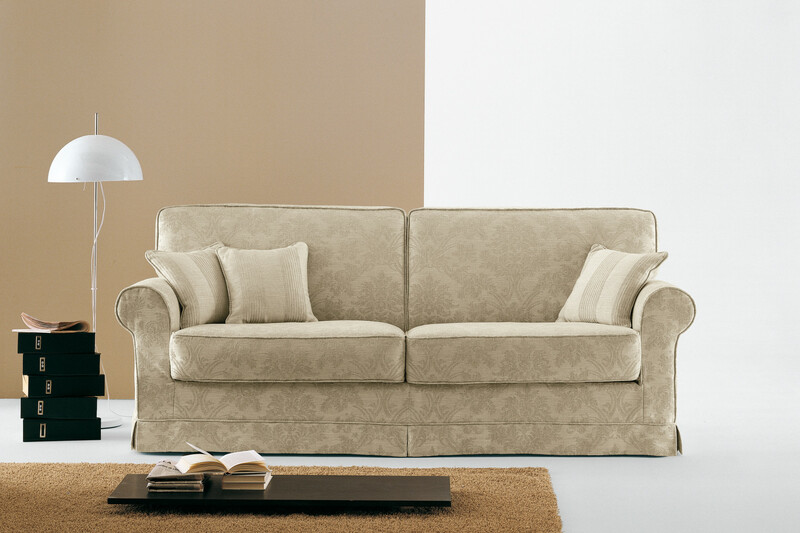 Its soft padding provides a cosy seat and guarantees high performances even after an extended use. To increase the sofa comfort and add a decorative element at the same time, you can complete it with a matching headrest. 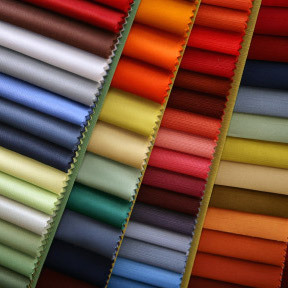 Gordon is available with removable fabric cover in a wide range of colours displayed in the samples page. 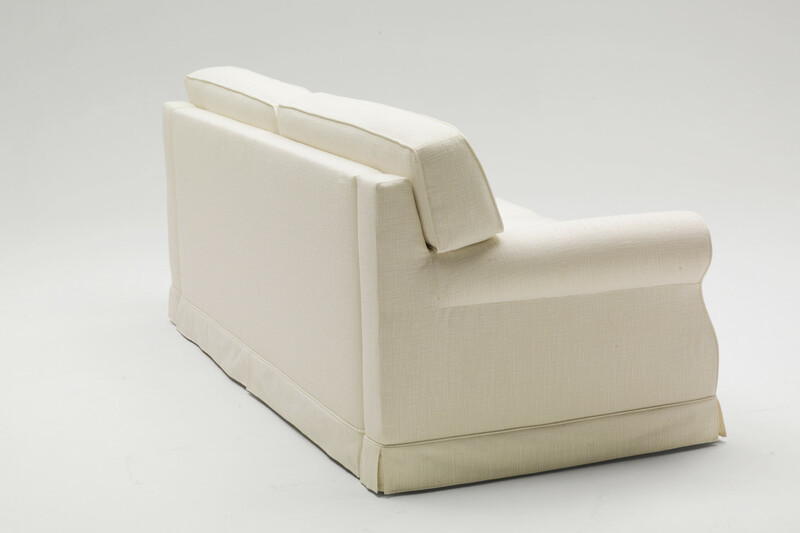 Gordon sofa can be completed with one or two cm 50 headrests matching the cover. Mechanism or Structure: high resistance furniture tube, oven coated with epoxy powders. Bed base made of plastic coated electrically welded steel mesh, fixed to the structure with springs. Seat in polypropylene fabric with elastic webbing. Structure: backrest in high resistance furniture tube, oven coated with epoxy powders. Armrests in fir wood and poplar plywood. Headboard in particle wood and poplar plywood. Non-bearing front panel in particle wood.